The Basement - Live Music, Comedy, & Arts..
On a deeply personal quest for understanding, Kieran perfects a series of obsolete impressions and discovers that the 70s were about more than just TISWAS, the colour brown and the words ‘Let’s go on strike again’. Three-time Edinburgh Comedy Award nominee, Star of Radio 4’s Earworms and Lance, and as seen regularly on BBC2’s Two Doors Down, Upstart Crow and Dad’s Army: We’re Doomed. A venue situated below City Screen Picturehouse cinema, right in the heart of York city centre. 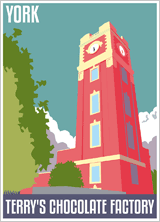 The venue hosts an eclectic mix of events including live music, poetry, comedy, drama and DJ nights. Café Scientifique is a place where, a cup of coffee or a glass of wine in your hand, you can come to explore the latest ideas in science and technology. 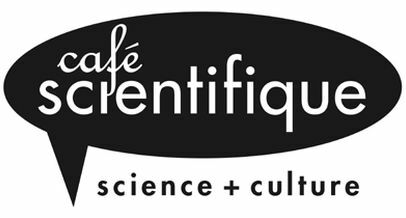 The first Cafés Scientifiques in the UK were held in Leeds in 1998. From there, cafes gradually spread across the country. Currently, some forty or so cafes meet regularly to hear scientists or writers on science talk about their work and discuss it with diverse audiences. Described as “one of Hull’s most innovative artists…” (Soundsphere Magazine), Yorkshire-born singer-songwriter Jack Parker has been capturing the hearts and minds of audiences all across Europe and the UK. Performing solo across the folk circuit, Jack’s new band has brought the show to the next level, bringing a new found energy and life to the stage. Currently working towards his debut album, Jack’s latest release ‘Wild’ gained great attention across media, featuring in RNR Magazine and Americana UK. Jack has appeared at numerous festivals across Europe and the UK including Costa Del Folk, The Great British Folk Festival and the prestigious Cambridge Folk Festival. Now fully armed with a 5 piece band and a new album on the horizon, Jack combines his charming singer-songwriter style, energetic performance and witty humour to deliver a truly unmissable show.